Looking for an all-boys camp in Quebec? Camp Nominingue provides opportunities for boys to grow together through outdoor skills and wilderness tripping. Quebec summer camps offer as much beauty and close interaction with the majesty of nature as any other place in North America. Quebec's traditional and recreational camps have a long-standing history and offer a variety of focuses, programs and affiliations. There are Quebec summer camps with religious affiliations, others that cater to special needs, numerous hockey schools and many sports summer camps. While many Quebec camps are French language only, there are camps that are English language and/or bilingual, as well as those with FSL and ESL programs. Quebec's landscape enables all the traditional summer camp activities you might expect, including canoeing, white water rafting or kayaking. Most of the day camps listed here are in Montreal and Quebec City, where most of the population of Quebec resides, of course. 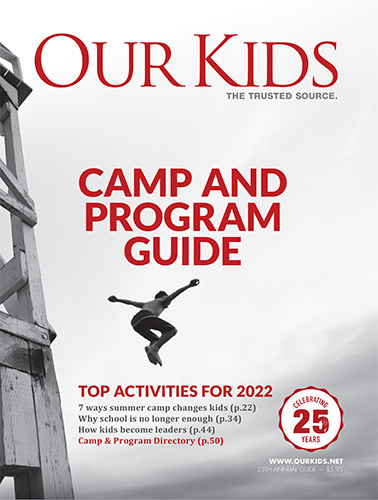 A Canadian survey a few years ago showed that summer camps in Quebec had average lower daily rates compared with camps in many other provinces. Many kids from Ontario and elsewhere in Canada (as well as anywhere in the rest of the world, in fact) travel to Quebec or are sent by parents to take part in summer camps offering French immersion. The experience is non-pareil for combining learning, the fun of camp and the benefit of new friendships with people of other cultures.... friendships that can last far beyond the summer. Search the listings below to find Quebec kids camps with a variety of focuses, including sports camps, adventure camps, technology camps, science camps, and much more.